On Sept. 4, a police cruiser in Quebec City killed a cyclist. The unfortunate biker was Guy Blouin, 48, of Quebec City, though he remained unidentified until the day after the incident. Blouin died in hospital. A vigil was held in St. Roch on Friday, at which locals demanded answers and justice for the murder. Despite the peaceful protesters’ best attempts, however, Blouin will no doubt slip from national consciousness soon, as will his fellow cyclist and non-cyclist victims. Why do police fail to protect cyclists so often? Cycling has never been safe in Montreal. 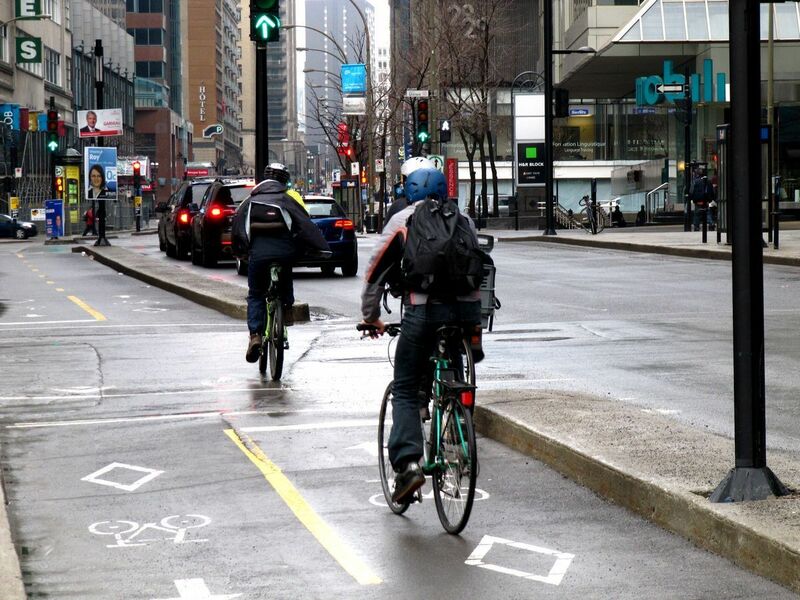 Just in the last year two other Montreal bikers, not to mention pedestrians, have died in car accidents. And that’s not considering the children, pets and property harmed or destroyed by police officers each year. Globally, the police are responsible for casual injustices every day, with the recent uprising in Ferguson, Missouri, and the incidents during the 2012 student protests in Montreal as two prominent examples. In March, Victor White III was shot to death while handcuffed in the backseat of a Louisiana police cruiser. This month, a Turkish cop took a selfie as a man committed suicide on a bridge behind him. The list goes on and on, an endless stream of people in uniforms harassing, abusing and neglecting to protect strangers for no logical reason. Why do we have to be afraid of getting killed by the police? Why do we have to be afraid of getting killed by unsympathetic, reckless drivers? Why do we collectively forget the deaths of people like Blouin, White or Martin? Maybe it’s our privilege. As a Western nation, and one of the most prosperous in the world, Canada has grown accustomed to its consumerist lifestyle. Our wants are satisfied quickly, giving many a false sense of importance. We dread the loss of this sense of importance, and are unhinged by the interruption of our comforting routines of consumption. Perhaps it is this false sense of rightfulness, and the underlying fear of being stripped of the things we value and allow to give us value, that makes drivers scream at cyclists and police officers act like hired thugs. Or maybe it’s these dangerous times. With over 200 mass shootings in the United States this year, and an increasingly militarized police, it’s easier to be leery of strangers. Or maybe we’re all just self-involved. Or maybe cops tend to be the kind of people who are hungry for power, and we’re all so preoccupied we forget the outside world. Whatever the answer may be, it’s clear that society is at fault. We don’t value community, and we’re not mindful of each other. We rush from place to place, without any concern for the present moment, and people suffer because of it. It’s time something about the makeup of our culture changes, or we’ll keep trampling innocent people until the whole world is in ruins.